I love old buildings. I love even more the stories that old buildings hold—they are places where history happened. To borrow a phrase from blues singer Little Milton, “if walls could talk” they would tell stories of faith, determination and triumph. For me, historic preservation is about staking African Americans’ claim to the American story. One of my first stops will be State and Washington streets to check out the 10-story mural of Muddy Waters. I’ll also check out the former home of the blues icon. Sadly, the 125-year-old building is under threat of demolition. Discussions on reUrbanism, preservation and health, and technology will be live streamed. You can sign up as a virtual attendee for free. You can also follow the conversation on Twitter using the hashtag #PastForward17. I’m going to Chicago, y’all. While in the Windy City, I will use the CTA to get around. NEA Jazz Master and Philly naive Jimmy Heath composed “CTA.” Miles Davis said it was named after Heath’s then-girlfriend Connie Theresa Ann. I am an accidental preservationist. For this lifelong activist, the movement to save diverse places is about social justice. It’s about staking African Americans’ claim to the American story. Identity matters. You can tell the identity of a nation by looking at what they honor. . . . There is power in memorialization. You preserve the things that matter. . . . We do an injustice when we tell stories about history that are incomplete. 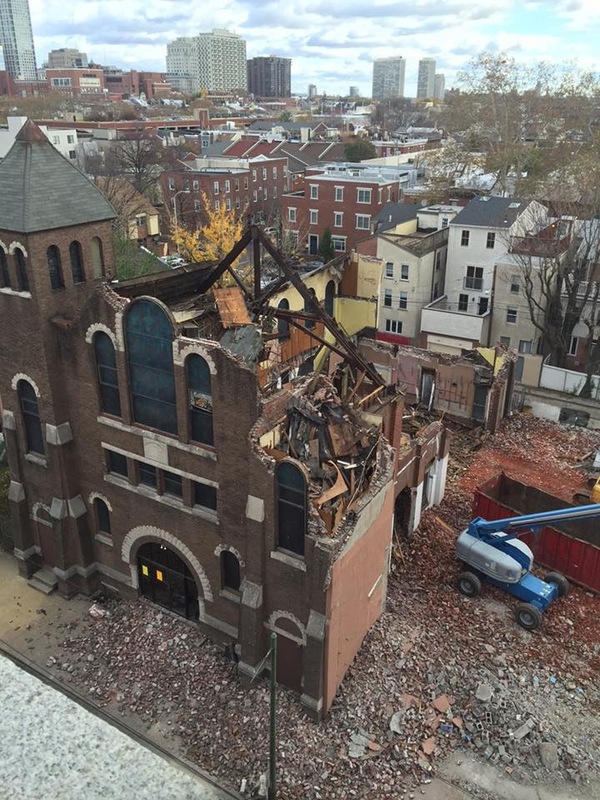 Fast forward to today, gentrification lays bare Philadelphia’s culture of demolition. As I write this post, a developer is demolishing the church where Marian Anderson learned to sing and the congregation nurtured her talent. The world renowned contralto helped pave the way for the Civil Rights Movement. These places are at the intersection of historic preservation and social justice. The buildings’ social history of resistance and triumph is connected to contemporary issues, including gentrification, displacement, income inequality and social inequity. Truth be told, developers are deciding which places are important. In Los Angeles and Phoenix, adaptive reuse is a matter of public policy. Philadelphia’s culture of demolition has been exacerbated by the 10-year residential tax abatement which provides a perverse incentive for developers to tear down historic buildings. To bring about policy changes, we must engage and empower accidental preservationists to become stewards of historic resources assets in their neighborhood.